Big things were expected of Marinelli when he made the move to the then Premier League side Middlesbrough in 2000. He was seen as a skilful and quick playmaker, with an eye for a goal. Unfortunately he mustered just 3 goals in 43 games on Teesside. Since leaving Boro in 2003 he has been somewhat of a journeyman, playing in Italy, his native Argentina, Portugal, USA, Colombia and Hungary. He is still only 29 years old, but it seems his chance to really make it in the game may have passed him by. Now plays in Peru. 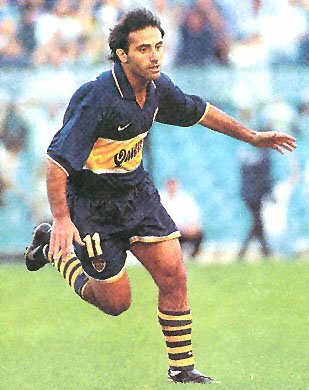 Latorre was the first player to be labelled as the “New Maradona” after bursting onto the scene with Boca Juniors in 1987. After helping Argentina to Copa America glory in 1991, he moved to Italian side Fiorentina with team mate Gabriel Batistuta in 1992. While Batistuta was a massive success in Tuscany, Latorre flopped, playing just 2 games. After leaving Fiorentina he had mild success at Tenerife and back at Boca Juniors, before having spells in Mexico and Guatemala, eventually retiring in 2005. 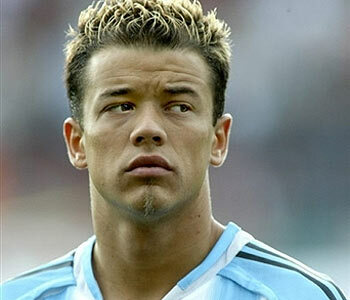 D’Alessandro made his name as part of Argentina’s victorious team in the 2001 Youth World Cup. After 5 successful years at River Plate, he moved to German side Wolfsburg in 2003. However, his form was inconsistent in that time, and he was loaned out to Portsmouth, where he helped them avoid relegation in 2006. 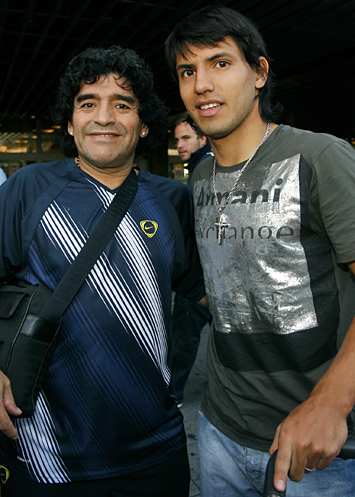 He moved to Zaragoza for another indifferent spell before moving back to Argentina, where he still plays. Last represented Argentina in 2010. Was highly rated after scoring 28 goals in 99 games with Velez Sarsfield and winning the 2007 Under-20 World Cup in, where he scored the winning goal in the final. He then bizarrely moved to Qatari side Al-Sadd. 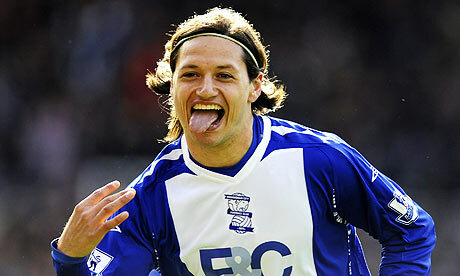 He didn’t last long in the Middle East, however, having a reasonably successful loan spells with Birmingham City and Lazio (where he signed permanently). He is currently on loan at Internazionale. Is yet to play for Argentina and hasn’t ruled out the possibility of representing Italy. Burst onto the scene with Estudiantes in 2003, where he scored 17 goals in 39 games. 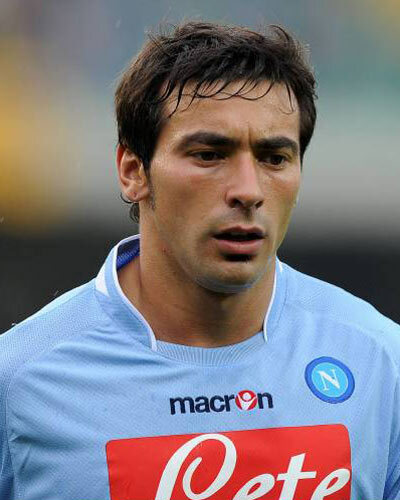 He moved to Genoa in 2004 but was immediately loaned to Argentine club San Lorenzo. Was supposed to move back to Genoa, but the clubs relegation to Serie C-1 after a match fixing scandal put a stop to that. Eventually moved to Napoli in 2007 where he has been a big success, earning him comparisons to Diego himself, who is also a Napoli legend. His partnership with Edison Cavani has seen Napoli establish themselves as a top Serie A club. 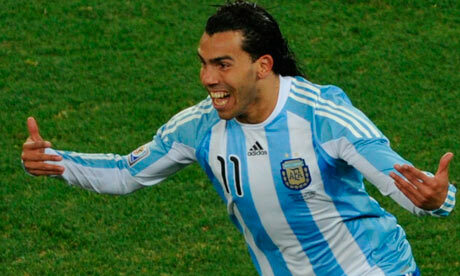 Lavezzi was part of the Argentina team that won the 2008 Olympics, and despite being dubbed the “New Maradona” has compared himself to Carlos Tevez. Argentinian playmaker- check. Absolutely mental- check. It’s easy to see why Ortega was quickly compared to Diego. Despite being hugely talented, he has never really lived up to his potential, with his famous temperament often getting in the way. Had reasonably successful spells at Valencia, Sampdoria and Parma, but has been most prosperous in his homeland, particularly at River Plate where he’s had 3 spells. The 1998 World Cup was really his time to shine, however in the Quarter-Final against Argentina he was sent off for inexplicably head butting Edwin Van Der Sar before Dennis Bergkamp scored a spectacular late winner. 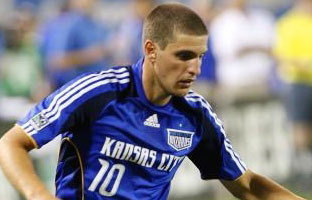 Now plays for Belgrano and last played for the national team in 2010. 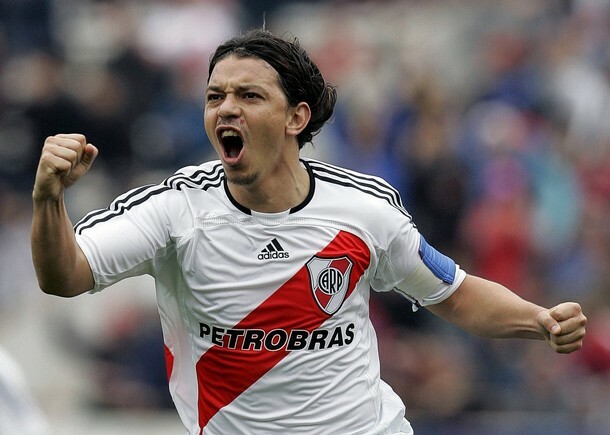 Gallardo was a ‘typical’ Argentine playmaker…small, graceful and tricky. 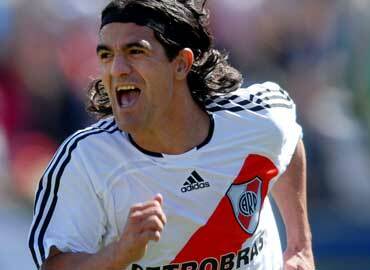 He perhaps was most successful in his homeland where he had three hugely profitable spells with River Plate. His first spell in Europe was with Monaco, playing there for 4 years and winning French Footballer of the Year in 2000. Retired in 2011 after playing for Uruguayan giants Nacional, who he now manages. Gallardo was part of the national team’s squads for the 1998 and 2002 World Cups. Despite not being a similar player to El Diego, gained this label due to the incredible potential he showed as a youngster. He won South American Player of the Year aged just 18, and scored 45 goals in 86 games for River Plate before earning himself a huge moved to Barcelona. Never quite lived up to the hype at the Nou Camp, and was more successful in two loan spells at Monaco and Sevilla. He did still manage 49 goals in 123 games for Barcelona, which is far from awful. Moved to Real Madrid in 2007, but played just 17 games in two years before moving to Benfica, where he still plays. Played for his country at the 2006 World Cup. Another impressive playmaker, Aimar has had a pretty decent career. Initially made his name at River Plate, spending 3 years, also winning the 1997 U-20 World Cup. Made his move to Europe in 2001 with Valencia where his career really took off. Played 196 games at the Mestalla, where he also won the 2004 Uefa Cup. However, towards the end of his spell he was struggling with injuries, and moved to Zaragoza in 2006 for a fairly forgettable spell. Has rescued his career at Benfica, where he moved to in 2008, creating a good partnership with Javier Saviola. 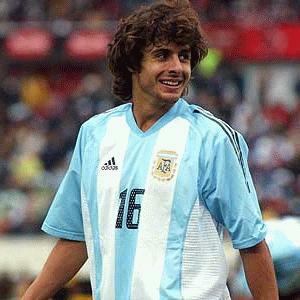 Aimar has played in the 2002 and 2006 World Cups, but has never really excelled at international level. At age 23, ‘Kun’ has the potential to surpass El Diego’s career. Sergio is married to Maradona’s daughter Ginannina, who gave birth in 2009 to Benjamin (who must have the best gene pool in Argentinian history). After scoring 23 goals in 54 games for Independiente, he moved to Atletico Madrid in 2006. Five years in Madrid resulted in 74 goals in 175 games before a big money move to Manchester City this season. Won the 2005 and 2007 U-20 World Cups and was part of the National team for the 2010 World Cup, where his father-in-law was of course Manager. Could well be a Premier League winner this season with City, for whom he has been in top form. Made his name at Boca Juniors, where he scored 26 goals in 75 games, also winning the 2003 South America U-20 Championship and the 2004 Olympics. Despite having a host of top European clubs after him, he moved to Brazilian side Corinthians in 2004. He then controversially moved to West Ham United with countryman Javier Mascherano, helping them survive Premier League relegation in 2007 (his goal against Man United secured survival). Tevez then moved to Man United where he won the Champions League in 2008 and the Premier League in 08 and 09. Moved across Manchester to City in 2009, where he still is, despite being in the wilderness after falling out with manager Roberto Mancini. After failing to secure a move away from Manchester this January, there is a possibility of him playing again for the Sky Blues. Despite the controversy he has still scored an impressive 43 goals in 65 games. Played in the 2006 and 2010 World Cups. Could well surpass El Diego if he manages to rescue his reputation which has been left in tatters recently. Not the most successful player on this list, but possibly the most majestic. 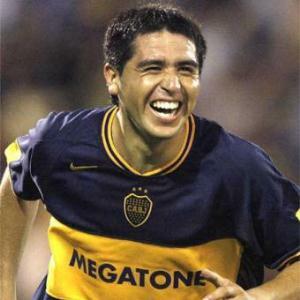 Riquelme was and still is a hugely influential playmaker, in the old fashioned South American mould. After playing 151 games for Boca Juniors, he moved to Barcelona in 2002. He never really made it at the Nou Camp, playing mainly as a winger, and managed just 30 games. He moved to Villarreal, initially on loan in 2003 before making his move permanent in 2005. Riquelme was hugely successful at the relatively small side, leading them to the semi-finals of the Champions League in 2006. After falling out with management, he moved back to Boca Juniors, where he still plays. He is a legend at Boca, and even has a statue dedicated to him outside of their stadium. Has been four times awarded the Argentina Player of the Year, one time South American player of the Year and La Liga Foreign Player of the Year. Was part of Argentina’s 2008 Olympics winning squad. 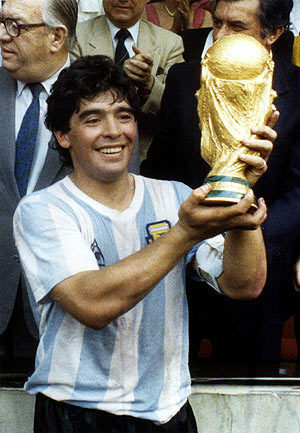 Is a World Cup win away from really surpassing El Diego’s career. Messi is hugely successful at club level (more so than Maradona was), with 5 La Liga and 3 Champions League wins to his name. 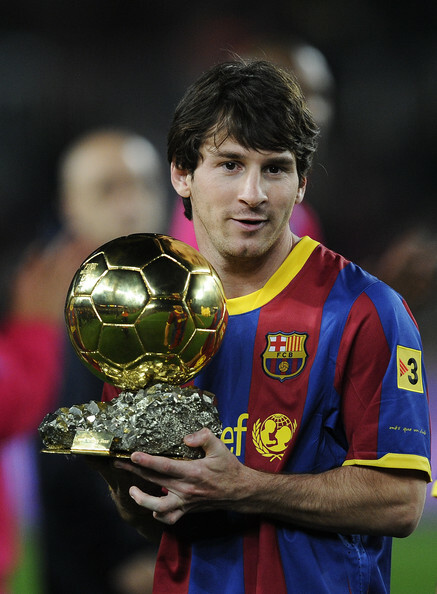 Has also twice won the FIFA Ballon D’or. Messi’s style of play is quite similar to Maradona’s, with pace and insane dribbling ability. Has scored a quite frankly obscene 142 goals in 198 games for Barcelona and, at aged 24 is already being considered to be one of the best players ever. Has many years left to achieve at International level if he is truly match Maradona’s career and win his country’s first World Cup since El Diego almost single handedly won the 1986 tournament.